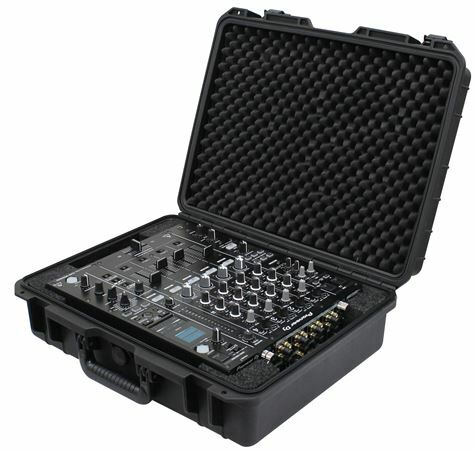 Shop Odyssey VUDJM900NXS2 Vulcan Series Case for Pioneer DJM-900NXS2 from AMS with 0% Interest Payment Plans and Free Shipping. The watertight VUDJM900NXS2 Vulcan case is dust-proof and impact resistant too. Each case is injection molded of a high strength polymer resin which provide you with the ultimate in protection for your gear. The VUDJM900NXS2 features a custom fit interior specifically for the Pioneer DJM-900NXS2 Serato DJ mixer. Features include a comfortable carrying handle, a pressure release valve, and two padlock holes. Foam inserts are cut for the Pioneer DJM-900 Nexus, not the Nexus 2. The is about an inch too short from top to bottom and about half an inch too short from left to right. Other than that the mixer is nice. I have one for my Pioneer S9.